Westgate Law > Blog > Bankruptcy Issues > Does Business Debt Transfer with the Sale of the Company? I recently spoke with a young man who had built a business from scratch, experienced a downturn in the industry that left the company overwhelmed by debt and unable to move forward with production expecting to make a profit. He felt his only recourse was to file bankruptcy on the small business. As the sole proprietor, this is his decision to make. Yet he didn’t want to see all the hard work end in bankruptcy. He didn’t want to see operations stop completely. Instead he felt that it would be best for the company if he sold or “gave” the company away to a family member. But he only saw this as a viable option if his bankruptcy would not leave creditors seeking payment from the new “owner” of the company. Luckily, he hadn’t yet moved forward with the plan. I say luckily because the immediate advice any experienced bankruptcy attorney would give in this situation would be to NOT transfer or sell or give away any property until after discussing the situation in detail with an attorney. Generally speaking, bankruptcy trustees will recover assets that were sold or “gifted” prior to filing for bankruptcy even if they have to sue in order to do it. And a sole proprietor business would definitely qualify as an asset even if the amount of debt associated with it seems to have left it stripped of value temporarily. Considering this aspect of a bankruptcy filing, the question becomes less about the creditors’ ability to go after the new owners and more about the bankruptcy trustee’s power to determine what is and what is not an asset that should be used to pay eligible creditors. If you MUST transfer ownership of the company, sell it – don’t give it away. And more than that, make sure to sell it for fair market value and have documentation to represent the fair market value price of the business in case it is requested. But please note that even selling the business at a fair market value would be a very risky move prior to bankruptcy. Before any action is taken in this type of situation, it is vital to have an actual face-to-face sit down with an experienced bankruptcy attorney who would be able to determine all the applicable factors in the situation and point towards the exact path best for both the owner and the company. It’s important to know that bankruptcy is there to offer protection when we need it, but it’s just as important to remember that it’s a legal process and there are legal consequences for failing to utilize it as intended. To put it bluntly, you may think you are in a bad situation now, but without the right counsel, you may end up taking actions that would leave you in an even more difficult situation down the road. 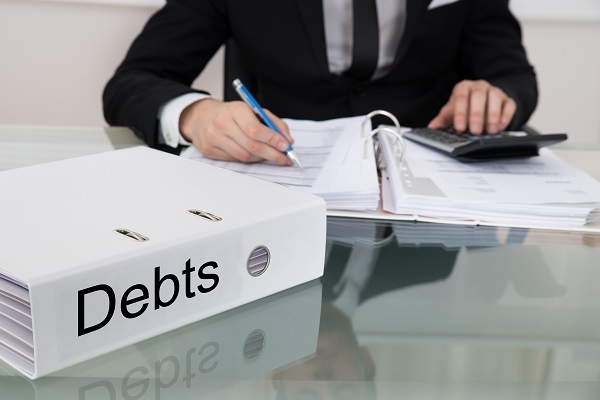 If you need assistance determining what your next step is in a bankruptcy filing, please contact one of the experienced southern California bankruptcy attorneys at Westgate Law.